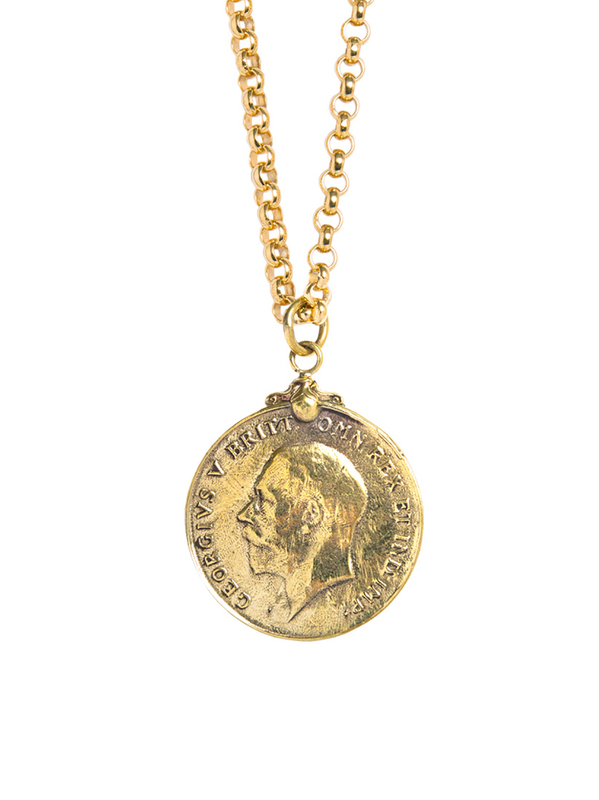 This iconic British War Medal features George V and makes the most amazing necklace. The medal itself has detailing on both sides and measures 4cm in diameter. It hangs on an 80cm thick sterling silver belcher chain that has been plated in 23.5 karat gold.